A very popular recipe, known all over the world for its tempting taste: try to cook it yourself and surprise your guests! About the salt: Spaghetti is boiled in salted water, the bacon is salty and the Pecorino cheese is salty, so take care seasoning with salt! Put 3 egg yolks plus 1 whole egg into a large bowl. While whisking, add the Pecorino cheese, but add it gradually because the cheese will dry the mixture and you need a smooth and creamy mixture. The remaining cheese can be used later for topping the pasta if you like. Take the crushed pepper you have previously prepared and add it to the bowl. Whisk until the mixture is smooth and creamy, and then leave it to rest. Put the oil into a frying pan and when it is hot move the pan around distributing the oil all over the pan surface. Lay all the bacon slices into the pan and cook at medium heat. After a minute or so, start stirring the slices in order to cook them on both sides. When you see the first sign of browning, remove the pan from the cooker and go to the next step. Transfer the bacon slices into a small bowl and leave them for the moment. Now, put your spaghetti into the boiling water and while boiling start cooking the onion. In the same pan you cooked the bacon slices, which is still hot, add the onion rings and cook them for a couple of minutes; then, add the wine and cook for a couple of minutes. Then, turn the heat down and gently cook the onions until caramelised. Remove the pan from the cooker and put the bacon slices back into the pan. With the pan away from the cooker (in order to avoid the bacon to overcooking), stir everything together and set aside. When the spaghetti is ready, put the saucepan containing the bacon and the onion back on the cooker (low heat) and meanwhile drain the spaghetti (remember to leave the spaghetti a little wet). Be quick draining the spaghetti because they shouldn’t cool down. Put the drained spaghetti back into the large pan you used to boil it, which is still hot, and quickly add the bacon and onions. Stir quickly for 10 seconds and move on to the next stage. Quickly add the egg mixture. Stir everything together for 20 seconds. The heat of the spaghetti and the heat of the pan is enough to cook the egg mixture. Do not carry out this procedure on the cooker otherwise, you will dry the spaghetti too much (I do not think you want to reach this stage to have spaghetti and scrambled eggs!). The final result should be a creamy sauce coating the spaghetti. Serve immediately and feel free to season with more pepper if you like, or sprinkle with some of the remaining Pecorino cheese, if you have any left. You can also try garnishing the plate with some parsley (flat leaf – torn by hand), but not too much. In our Italian cooking courses, experienced chefs teach the most popular Italian dishes, as well as the less known ones! 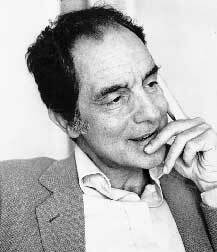 Italo Calvino is one of the most famous Italian writers, known all over the world for his short stories and novels. Whithin his numerous works, we can for sure remember the Cosmicomics, the Invisible Cities, Difficult Loves and If on a winter’s night a traveler. His clean and sincere style becomes a real companion for the reader from the first line of the book. Calvino was able to cope at his best with funny stories towards with storic novels. It’s not a case that he’s considered one of the most important Italian writers: during his times, he was the most-translated contemporary Italian writer and he was also candidated for the Nobel Prize Award. It is really interesting to find out how some of his tales, the best example could be taken from Difficult Loves, consist of a real witness of the Italian life during those times. When talking about Italian modern literature, Calvino is never forgot. Then why not analysing him in a deep and accurate way? Have a look to our Italian language courses at Institute Galilei, where you will have the possibility to focus on the part of the language and on the subjects that you wish! 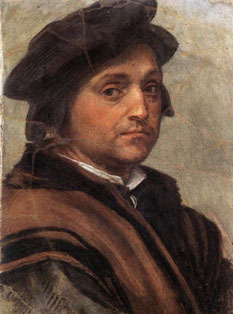 This Florentine painter was born in 1486 and became famous during High Renaissance and early Mannerism. His surname, “del Sarto” (Tailor’s) comes to his father’s profession: he was in fact son of a tailor. After struggling with the malady he died alone on 22nd January 1531. Though his love life was sad and disordered, he did many portraits of his wife, who is often represented as the Madonna. Despite his brief career, he produced a large number of frescoes and easel pictures. Probably the most known of his painting is the Madonna of the Harpies (Madonna delle Arpie), where the Virgin and the child standing on a pedestal, flanked by angels and two saints. It was an altarpieced which was finished in 1517 for the convent of San Francesco dei Macci and nowadays it is conserved in a privilege position at the Uffizi gallery. Because of its stable lines (the triangle of the Madonna and the saints) the figures’ scheme has been copied several times. This masterpiece is consider one of the highest contribution to Renaissance art. He is also known for his self portraits: one of them is shown at the National Gallery of London, and you can see many different one of course here in Florence at the gallery of Pitti Palace. Would you like to know something more about this painter? Try our Art History courses, held by art history experts! The first day of Carnival, known all around Italy as “fat thursday” is called in Florence “berlingaccio”, from an old word describing a day spent around the table eating, drinking and being happy. This rite finds his roots in the Medicean era, and Cosimo I also wrote some poems about those merry days. Usually in Carnival time, the Florentines eat the “berlingozzo”, a simple ring-shaped cake usually home-baked, made from eggs, sugar, lemon, flour and baking powder. 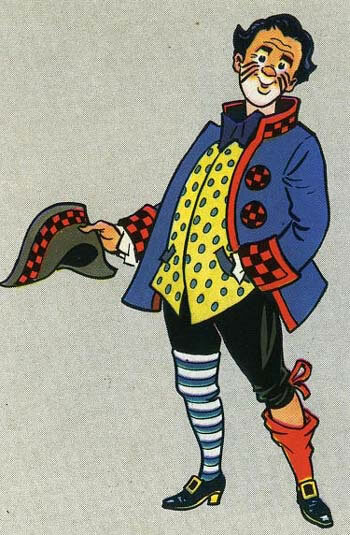 Talking about Carnival in Florence, we can’t forget “Stenterello”, a typical mask character created in the eighteenth century by Luigi del Buono. On Sunday 22nd, the “Florence Carnival in the world” will take place: a mask parade which crosses the city from Piazza Ognissanti to Piazza della Signoria, with the participation of 36 foreign countries from all over the world…and then the delicious “Cenci” and confetti colouring the whole town! A wonderful way to get ready for Spring.